Aston Villa Supporters Trust (AVST) and My Old Man Said (MOMS) are pleased to announce that Villa Park stadium is now listed as an asset of community value (ACV) – a move designed to protect the stadium should it ever be put up for sale. An application from the fans’ group was approved by Birmingham City Council, which means the stadium is recognised as an asset to its community and will be listed as an ACV for five years. If the stadium is ever put up for sale, there is a legal obligation to alert Aston Villa supporters via the AVST of a potential change to Villa Park’s primary use, giving supporters and the local community the right and opportunity to lodge a bid within six weeks, with finance then needing to be secured in a moratorium period of six months. 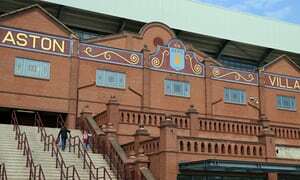 At the very least, it will provide Villa fans with a heads-up to what the future may hold, if a situation ever arose that saw Villa Park put up for sale. The application for Villa Park to be listed as an ACV was originally initiated while Randy Lerner was the owner of the club. While the ACV process should have taken eight weeks, we are glad it has finally reached a positive conclusion, after delays beyond our control. The importance of Villa Park to Aston Villa and English football is known throughout the world. The stadium has hosted World Cup games, European Championship games, Rugby World Cup matches, FA Cup semi-finals and will also be a venue in the forthcoming Commonwealth Games in 2022, but most important is its role in the community. Villa Park holds memories and emotions for generations of supporters and is a major focal point of community in the neighbouring area and for the identity of the city of Birmingham as a whole. The right to list buildings as an ACV was enabled under the Localism Act 2011. Oxford United’s Kassam Stadium was the first ground to be protected in 2013 and since several grounds including Old Trafford, Anfield, St James Park, Ewood Park, St Andrews, Portman Road and the City Ground, have all followed. Owners, managers and players come and go, but the constant heart of Aston Villa Football Club remain both its supporters and its home of Villa Park. When you look at some of the unfortunate situations that have befallen other football clubs in recent years, obtaining the ACV will at least give Villa Park a level of protection for supporters in light of the increasingly commercial and business-first nature of the modern game.